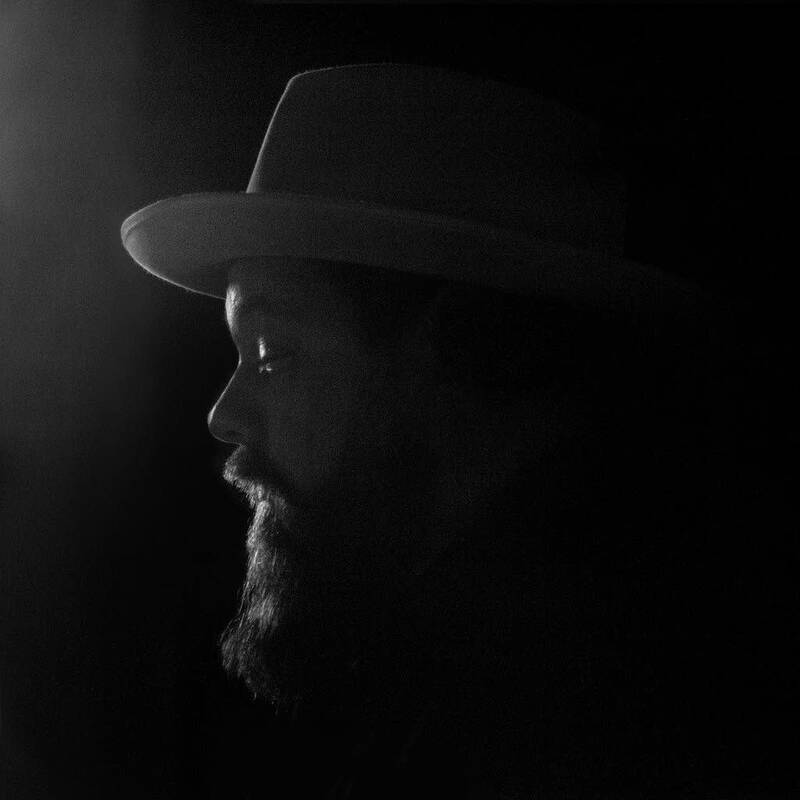 Nathaniel Rateliff & The Night Sweats have a great story: Rateliff almost quit music prior to his make or break debut with the Night Sweats. Then the band that most had never heard of struck it big with the song "S.O.B." They took their show on the road and found plenty of fans embracing their sweaty full-tilt shows. Nathaniel Rateliff & The Night Sweats have returned with the long awaited, much anticipated second album called 'Tearing At the Seams'. I am happy to say that there is no "sophomore slump" here. No "S.O.B.," no problem! After three years of heavy touring, Rateliff and company are now a road tested unit, you can hear it in their sound. They unleash on the album's first track, "Shoe Boot," which pops like an old R&B 45. You'll be sucked in immediately by the funky grooves on this one, which gives the Night Sweats horns and smoldering organ plenty of room to shine, and they do! You'll be sucked in all over again on "Intro," which would be the first track on side 2 of the vinyl and the midway point on the CD or streaming service. Nathaniel Rateliff & The Night Sweats record on the label Stax, who issued some amazing soul classics in the 60's and 70's. That sounds like a match made in heaven, and they mine that sound on "Be There," which chugs along in that old Stax style. I hear a bit of Van Morrison on the smooth, "A Little Honey" and on the soulful closer "Tearing at the Seams," when he sings, "It's tearing at the seams of all that's been/They're gonna have to drag us away" which might leave you wiping a tear from your eye. This guy has soul. Rateliff delivers the vocals with gusto and grit throughout. He even shows a hint of gospel on the song, "Babe I Know," which features Lucius. He shows a more personal side on "Hey Mama," which appears to be kind of conversation with his aging mother. A song about not giving up, which might be Nathaniel Rateliff & The Night Sweats' mantra. Nathaniel Rateliff and the Night Sweats perform in The Current studio In the face of their meteoric rise, Nathaniel Rateliff finds it easy to choose a highlight for himself and his band, the Night Sweats. 'The highlight is that we're all getting along and having a good time,' he says. Rateliff and company visited The Current's studio for a live session hosted by Mark Wheat. Check out the complete session featuring songs and an interview with Rateliff and the band. Being a Night Sweat is no sweat for local trombone player who fills in at Rock the Garden Matt Darling, local trombone player with the Honeydogs and other bands, got a call 90 minutes before Nathaniel Rateliff and the Night Sweats took the stage at Rock the Garden. Darling was asked to fill in for Wesley Watkins, the Night Sweats' trumpet player who had fallen ill. 'Like everybody else, I love this music,' Darling says. Nathaniel Rateliff and the Night Sweats captivate at Northrop With lively songs and equally energetic dance moves, Nathaniel Rateliff and the Night Sweats delighted the Twin Cities audience at Northrop on Tuesday, May 31. Check out a recap, photos and set list from the show. Album of the Week: Nathaniel Rateliff and the Night Sweats Seeking to expand his horizons and his reach, Nathaniel Rateliff connected with full-blown horn section the Night Sweats. The result is a rousing, energetic and catchy new record that fits firmly in the Stax Records catalogue.